Completing any marathon is a punishing ordeal. But throw in the sub-zero temperatures of Siberia - and the possibility of plunging through a sheet of ice into the world's deepest lake - and only the most determined of athletes need apply. 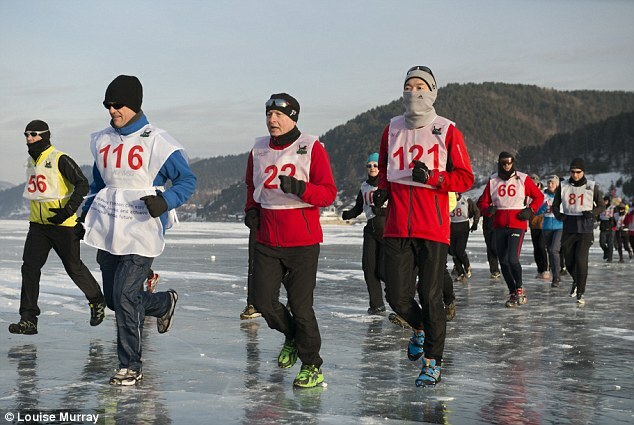 Less than 150 runners took part in the Baikal International Ice Marathon yesterday, which saw competitors donning special, studded shoes in order to pound their way across the frozen surface of Siberia's ancient Lake Baikal. Marathon organisers study satellite photos of the vast lake - the largest freshwater lake in the world - ahead of the annual event to identify possible cracks, and experts only plot the final, safest course across the surface immediately before the starting gun is fired. The unique event, now in its ninth year, attracts entrants from around the globe. The first 10km stretch of yesterday's marathon took runners across the black, mirror-like surface of the lake, then on to a stretch of ice covered in densely packed snow. Temperatures plunge as low as -12C in the small town of Listvyanka. 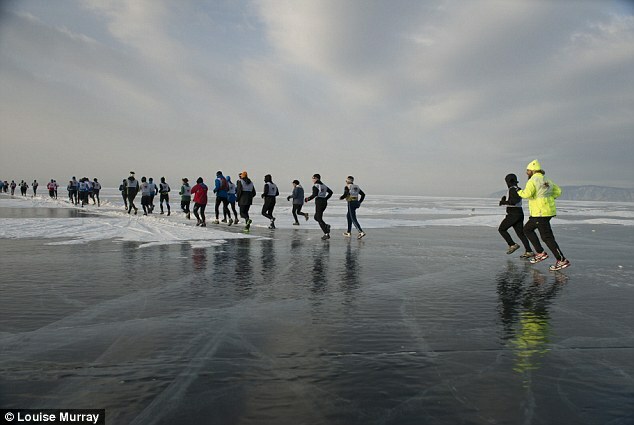 The Baikal International Ice Marathon is psychologically as well as physically demanding, as the clear air and flat terrain means runners can make out the distant finish line almost as soon as they begin - giving them nothing to focus on but how far they are from their goal. 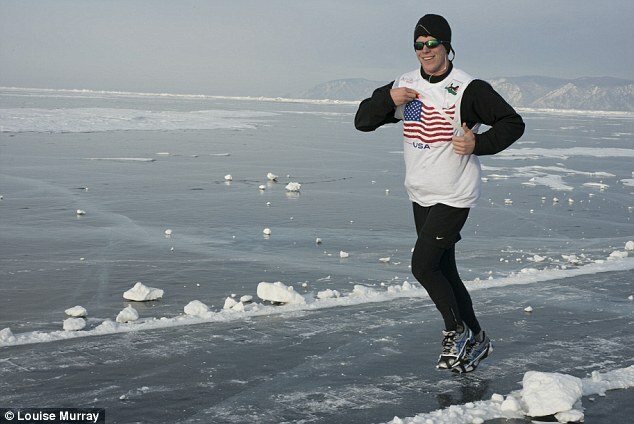 'That's really tough', said Jeff Ramsay, 46, an American who lives in Moscow and competed for the second time yesterday. 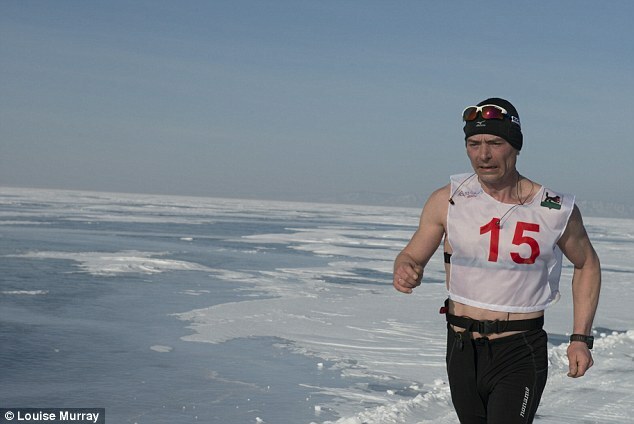 Local runner Sergei Kalashnikov crossed the finish line first yesterday, clocking up a time of three hours and seven minutes.